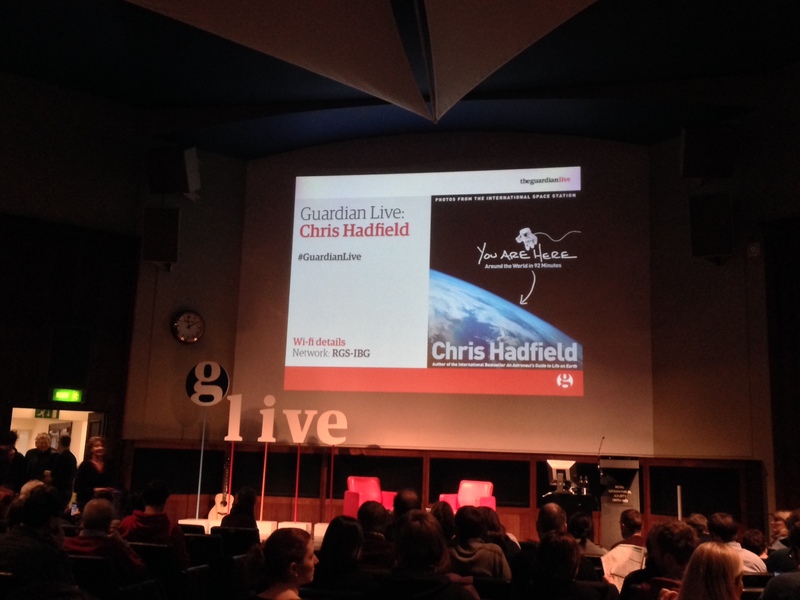 Chris Hadfield is speaking at the Royal Geographical Society in London as part of the Guardian Live events. I managed to get a couple of great seats to hear him speak about his book “You are here”. Looking forward to seeing the images he captured while at the ISS.